At this time all of us in Washington had a bad scare. 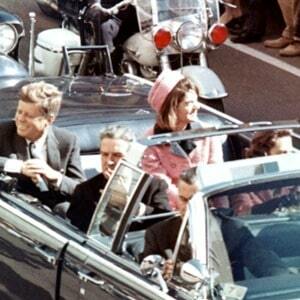 It occurred on November 1, 1950. The Cabinet had assembled in midafternoon in the National Cemetery at Arlington, where the President was to unveil a monument… My wife and I were sitting with General and Mrs. Marshall. John Synder, Secretary of Treasury, joined us. “An attempt has been made,” he said, “to assassinate the President. I don’t know what has happened. Shooting has been reported in front of Blair House [where the President was living]. I think the President is all right, but I don’t know.” A buzz of conversation broke out around us as those who had overheard passed the word to those behind them. Just then the Marine Band broke into “Hail to the Chief” as the President stepped out of his car and walked to the rostrum looking as if he had not a care in the world. It was a most unnecessary happening over there at the Blair House and the people who really got hurt were wonderful men. The two men who did the job were just as stupid as they could be. I know I could organize a better program than the one they put on. They came nowhere near their objective - one of them faces the gallows and the other one is dead, although they did injure two good Guards and kill another one unnecessarily. As calm as Truman was about his own safety, however, is how upset he was to learn that one of his guards had been killed. The day he wrote this letter, he said to reporters he was sick over it, and the wounding of two others: it was a terrible thing. Of course, that did not stop him from taking his usual morning stroll through Washington. Typed Letter Signed, as President, 1 page, quarto, The White House, Washington, November 2, 1950. To Secretary of State Dean Acheson. Bearing Department of State date stamp on verso. I can't tell you how much I appreciated your longhand note of yesterday. It was a most unnecessary happening over there at the Blair House and the people who really got hurt were wonderful men. The two men who did the job were just as stupid as they could be. I know I could organize a better program than the one they put on. They came nowhere near their objective - one of them faces the gallows and the other one is dead, although they did injure two good Guards and kill another one all unnecessarily.